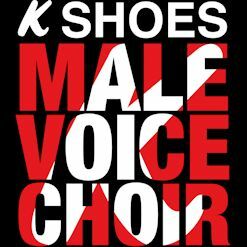 K Shoes Male Voice Choir has been in existence since 1929 as a mixed or male voice group under four different names. The choir was originally formed by the Somervell family, owners of K Shoemakers and supported by them with family members taking key roles for many years. K Shoes are no longer manufactured in Kendal, but Clarks, the new owners of the brand, still provide footwear and sponsorship. 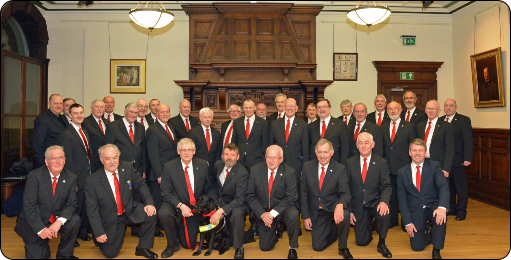 Click here to download a pdf copy of the history of K Shoes Male Voice Choir. The choir has over 40 singers and we welcome new members. Contact our secretary John Basnett, to become part of a team that produces a wonderful sound from delightful music to entertain our audiences throughout the north of England. Regular practice is the key to our success. We rehearse at Kendal Town Hall most Wednesday evenings throughout the year, except during August. Visits outside this area within the UK or abroad combine the attractions of sharing the company of fellow members in a holiday atmosphere with singing in new environments. 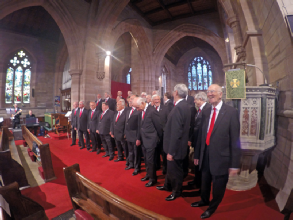 K Shoes Male Voice Choir perform approximately 12 concerts a year at a variety of venues in Cumbria and North Lancashire. The proceeds, less the choir’s fee, are used by the hosts for their respective causes. In addition to the regular concerts we also go on visits outside this area within the UK or abroad, singing in new environments while sharing the company of fellow members in a holiday atmosphere. Choir members are fortunate to have strong backing from wives and partners both for raising funds and providing hospitality during concerts and at social events. Our Musical Director is Ian Allan who began with the Choir in August 2011. He comes from a military music background and was a conductor, trombonist, pianist and harpist with the British Army for 23 years. He has entertained with jazz bands, big bands and orchestras playing an array of instruments at a wide variety of occasions that included Royal performances. 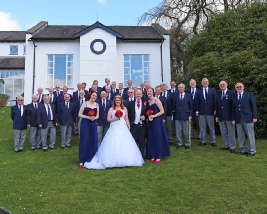 Ian formed one of the two professional choirs in the British Army and subsequently conducted this choir both nationally and internationally until his retirement. His choir was privileged to sing at the Royal Albert Hall’s Festival of Remembrance in 2004. 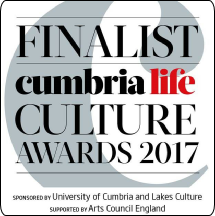 Our Accompanist is Andy Glanville who after a career in the police force with the Thames Valley and Cumbria forces began a career in music. He has played the piano from a very early age and collected qualifications throughout his time in the police, culminating in obtaining an ATCL diploma in 2007. Andy has taught piano privately since 2006 at Queen Elizabeth School, Kirkby Lonsdale, St Mary's C of E School, Kendal and Queen Katherine School, Kendal. You can help the choir through online retail therapy! Using the following link will access nearly all of the main on-line suppliers, e.g. Amazon, EBay, Marks and Spencers, etc… If you make your purchase through this link purchase prices are unchanged, KSMVC will benefit and many a mickle makes a muckle! Many thanks for using this service.